This is definitely one of my favourites; it’s easy, nutritious, and delicious! Yes, enter the breakfast smoothie. I have been on a good health kick for the past month due to several/obvious reasons. In total I’ve lost 25lbs ( 11.3kgs) on my fitness journey, and I want to lose about 20 more pounds to reach my “ideal” weight (I’m currently 6’1 and 210lbs). Breakfast is one of my favourite meals of the day; Greasy bacon, fried eggs, pancakes, pork sausages- HEALTHY EATS ESTHER OK ANYWAYS, I’ve been mixing it up to watch my fat and carb intake in the morning. Sometimes my favourites aren’t good for my cholesterol, and in general make me feel groggy and too full. I personally love the mix of berries and bananas with some vanilla flavoured almond or soy milk! mmmm yum. what are some of your favourite combinations? Previous Post 30 days of Yoga! Next Post Choose Your Damn Self. It’s great that you’re focusing on your health! When you’re young you can’t truly reap the benefits of having a healthy diet and lifestyle, but you will appreciate it as you get older. 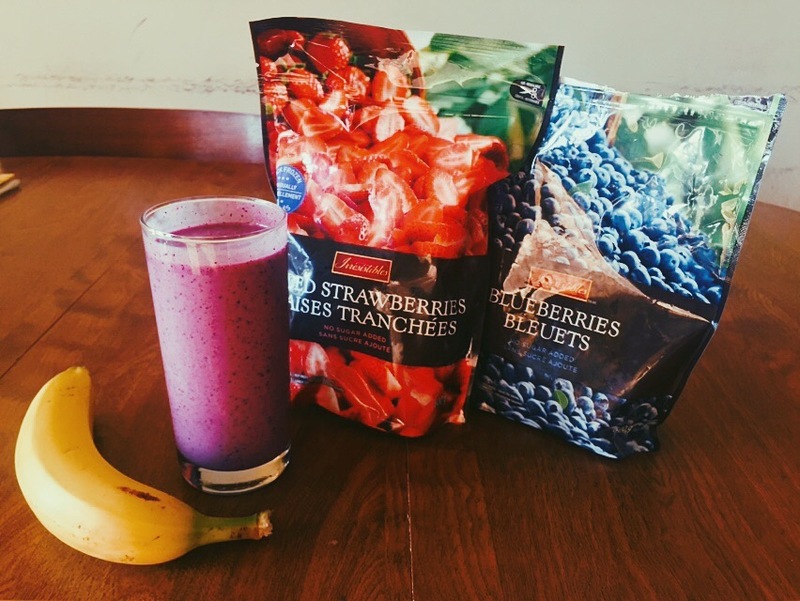 Smoothies are cool, but a great quick snack. I never make them large enough to substitute meals. But I don’t eat a lot either. Anyway, I love superfruits like blueberries, and I will freeze strawberries, bananas… maybe add an apple and a little milk and voilà. Thank you for your awesome comment 🙂 It is so difficult to live a healthy lifestyle. I loveeeee my food hehe. oooh I will try the apple in my smoothies! P.s. your blog is awesome!